IMA Active is pleased to take part in the BIT’s 9th World Gene Convention 2018 (WGC-2018), which will be held in Singapore (CN), on November 13-15, 2018. 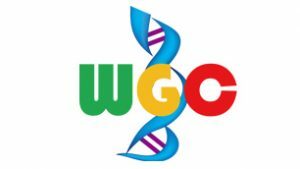 WGC-2018 features a very strong technical program, mainly focused on breakthroughs in Gene, updates on Genomics & Genetics, new research of DNA, RNA and Nucleic Acid, emerging topics of Life Sciences, new Biotherapy discovery, emerging areas for medicine applications, robust technology development, and cutting-edge Biotechnology. WGC-2018 aims to provide a platform for all experts from academia, industry and national labs to discuss latest hot researches and achievements. Attendees will hear world-class speakers discussing the challenges and opportunities facing the Gene, Biotechnology and Life Sciences field. More than 400 presentations covering the hot topics and cutting-edge technology in the field of Biotechnology and Life Sciences. More than 50 posters demonstrating. Cutting-edge keynote addresses by prominent leaders from all over the world. Creating an harmonious environment for project matchmaking and promotion. Claudio Lorenzini, IMA Active Product Manager for Capsule Filling, will held the presentation “Filling of Hard Shell Capsules and Packaging Aspects of Multiparticulate Systems”. Hard shell capsules are one of the most common methods to administer multiparticulates. Indeed a number of different filling systems have been developed and are currently available, allowing precise dosing of multiparticulates, alone or in combinations with powders or other forms. All components are dosed separately using standard filling unit, ensuring a robust and reproducible process. In addition, current developments in terms of process analytical technology systems allow for precise checking of the filling process, including feedback on machine working parameters, to keep the final product within the desired specifications.